Engraving, 23 5/8”h x 15”w plus margins, uncolored. Numerous manuscript annotations in ink to lower third, now somewhat faded but legible. Docketed “Gorham Phelps Purchase” on verso. An extremely rare map of the Phelps and Gorham Purchase in New York’s Finger Lakes Region, reflecting the mad scramble for land in post-Revolutionary America. With interesting manuscript additions by an early owner. 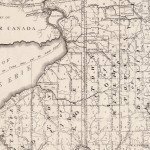 Among the biggest losers of the American Revolution were the Iroquois of central and western New York, most of whom had sided with the British in the hope of forestalling settlement on their lands. The ironic result was that after the war these lands became fair game for wealthy speculators—both American and European—eager to make a killing from sales to land-hungry New England farmers. By means of a maze of treaties and private deals, the region was carved up into enormous tracts, one of which was the so-called Phelps and Gorham Purchase of 1788. The Phelps and Gorham Purchase had its roots in the 1786 Treaty of Hartford, which resolved a dispute between Massachusetts and New York over the former’s claim to some six million acres west of Seneca Lake. As a result of the Treaty, Massachusetts ceded sovereignty over the area but retained the “pre-emptive” right to negotiate with the Iroquois for title to those lands, or to profit by selling that right to a third party. In 1788 a consortium led by Oliver Phelps (1721-1821) and Nathaniel Gorham (1738-1796), both successful Massachusetts businessmen and politicians, purchased this right for $1,000,000. The sum was payable in three annual installments in depreciated Massachusetts scrip, rendering Phelps and Gorham’s effective cost far less than the stated sum. In July 1788 Phelps met with Iroquois representatives at Buffalo Creek in an attempt to negotiate clear title for the entire parcel. 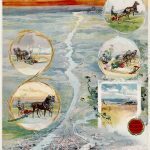 He was however able to acquire title only to the lands east of the Genesee River, plus a parcel on the west bank of the Genesee abutting Lake Ontario, some two million acres in all. The story behind the parcel along the Genesee, known as the “Mill Yard Tract,” is interesting: As a negotiating point Phelps suggested that the Iroquois would benefit from a grist mill on the west bank of the river. When the Iroquois asked how much land would be needed, he cheekily suggested that a huge piece of land running 12 miles west of the river and 24 miles south of Lake Ontario would suffice! 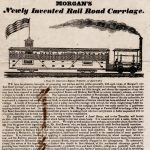 Despite its patent absurdity the ploy worked, Phelps gained the Mill Yard Tract, and grist and saw mills were eventually built at the Falls of the Genesee. Within a year of the Buffalo Creek council the value of Massachusetts currency rose in anticipation of Hamilton’s plan to nationalize state debts, thereby sharply increasing the cost of the Phelps and Gorham Purchase. This, combined with insufficient land sales, forced Gorham and Phelps to miss a payment to Massachusetts, for which they forfeited much of “their” lands west of the Genesee back to the state (Recall, they had been unable to negotiate title to these lands from the Iroquois.) In 1791 Massachusetts sold this western parcel to financier Robert Morris of Philadelphia. 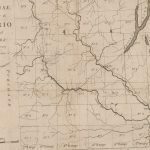 After missing another payment, Gorham and Phelps sold all remaining unsold lands east of the Genesee directly to Morris, who in 1792 sold it to a British consortium known as the Pulteney Association, making a huge profit on the transaction. 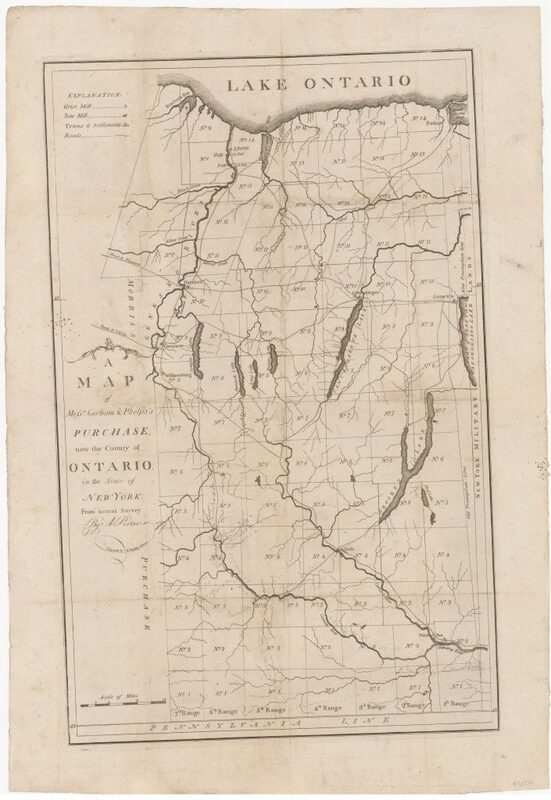 Offered here is a very rare map depicting the tract to which Gorham & Phelps were able to gain title from the Iroquois. While not nearly as large as what they had sought, it was still vast, bounded by Lake Ontario to the north, the Genesee River to the west (with the exception of the Mill Yard Tract along the opposite bank), Pennsylvania to the south, and the so-called Old and New “Preemption Line” to the east (This was the line negotiated by Massachusetts and New York in the Treaty of Hartford. “Old” and “New” versions of the line are shown because the original survey of 1788 was grossly inaccurate and had to be repeated in 1791-92.) Just to the east of the Preemption Line are the New York Military Lands, which had been set aside for the compensation of the state’s Revolutionary War veterans. The familiar grid of ranges and townships is clearly visible if haphazard, roads are indicated, and a variety of symbols indicate towns and settlements, grist mills, and saw mills (including those in the aforementioned Mill Yard Tract). At some early date an unnamed owner extensively annotated the southern half of the map with dotted lines indicating trails, as well as information about distances, landowners &c.
Making the map more remarkable still is that it was engraved by the remarkable Amos Doolittle (1754-1832) of New Haven, probably America’s most prolific early engraver. His career spanned seven decades and yielded hundreds of portraits, views, book illustrations and maps, but he is best known for his historical prints, most famously the suite of four engravings of the battles at Lexington and Concord. Art historians are often unjustly dismissive of his output; Stauffer for example stuffily pronounces that “his work, at the best, possesses little other than historical interest.” (Stauffer I:67) This is terribly unfair: while some of his early work—notably the Lexington and Concord engravings—was indeed crude, much of his work is quite accomplished, as evidenced by the detail and clarity of the map of the Phelps and Gorham Purchase offered here. Even when the charge is merited however, the “historical interest” is extreme. Doolittle’s political and historical prints documented some of the most important events of his time, and he engraved some of the most significant maps issued in the early years of the republic. 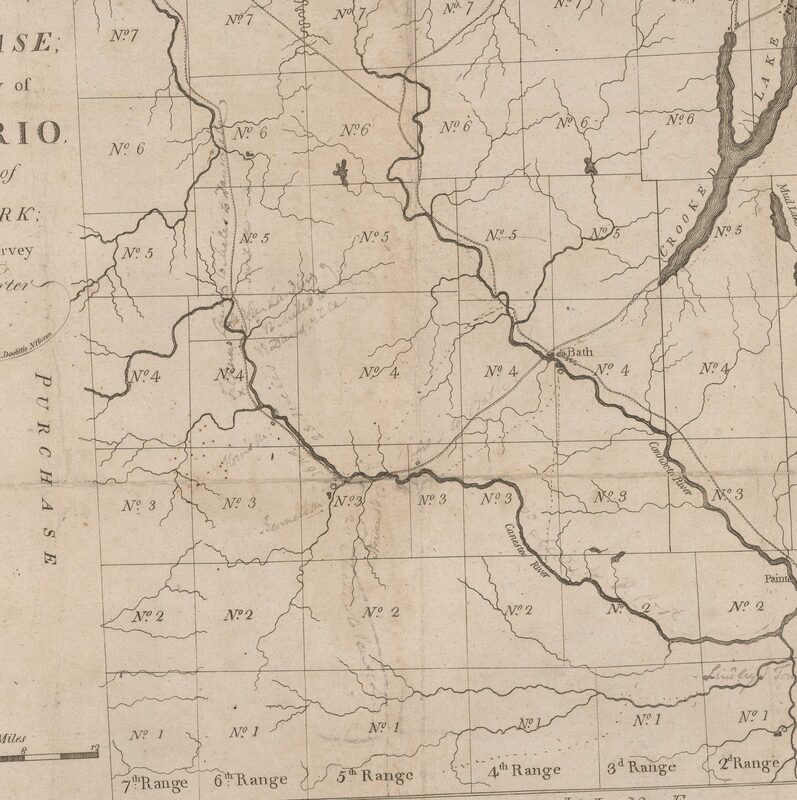 The map is undated, but Phillips and Wheat & Brun suggest it was issued in 1794, while Evans gives a date of 1795. It is extremely rare, and I find no record of another example having appeared on the market. Impressions are held by the Canandaigua Historical Society, Clements Library, Library of Congress, New York Historical Society, New York Public Library, University of Wisconsin-Madison and Yale. Evans #29341. Fielding, American Engravers, #354. Phillips, Maps of America, p. 640. Wheat & Brun #361 (Canandigua Historical, Clements Library, Library of Congress, New York Historical, Yale). OCLC #19595060 (New York Public, Univ. of Wisconsin-Milwaukee) and #166644882 (Clements Library). Background from R.W.G. Vail, “The Lure of the Land Promoter: A Bibliographical Study of Certain New York Real Estate Rarities.” University of Rochester Library Bulletin, vol. XXIV no. 2 & 3 (Winter-Spring 1969). Minor soiling, and repairs and restorations along old folds, including rendering in facsimile of the first “of” in the title.